The French poet Paul Valery once defined poetry as the unique intersection of language and state of mind. One of the key areas of study in poetry is “prosody,” the study of meter and rhythm. Aristotle believed there were three categories of poetry: epic, tragic, and comic. He elaborated these ideas in the appropriately titled work Poetics. The haiku is one of the shortest forms of poetic writing. Originating in Japan, a haiku poem is only seventeen syllables, typically broken down into three lines of five, seven, and five syllables, respectively. Poetry helps improve your vocabulary! 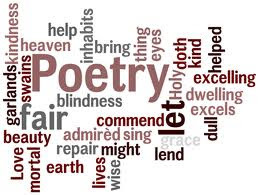 Poetry is ancient and it’s a fact that even primitive people have written poems. The French poet, Paul Valery defined poetry as the unique intersection of language and state of mind.